Amanda Smith, a New Zealand native, moved to Melbourne 13 years ago and has dedicated the last 12 years to the human resources field. She currently leads the ‘People & Culture’ team at lululemon Australia/New Zealand and is responsible for all people practices including health & wealth, recruitment, and developing leaders across the business. 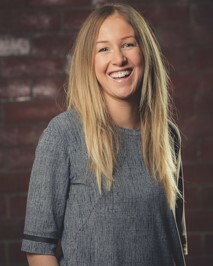 Since joining lululemon five and a half years ago, Amanda has grown the regional [People & Culture] department to support the growth and evolution of the global organisation. By adopting new practices that further elevate the brand and attracting and developing incredible talent, she has helped to move this unique business forward in the competitive retail market. Amanda holds a post-graduate diploma in business, majoring in human resource management from Swinburne University, Melbourne. Inspired by interior design, living a healthy, active life and positively impacting the community, the Kiwi and Melbourne resident is committed to being a powerful stand for living a life you love. In our culture of 24/7 'always-on' connectivity, taking a step back is vital to re-energise the mind and the body. Come and learn tips & tools that will help you be your best self.